And there was probably a reason for that. 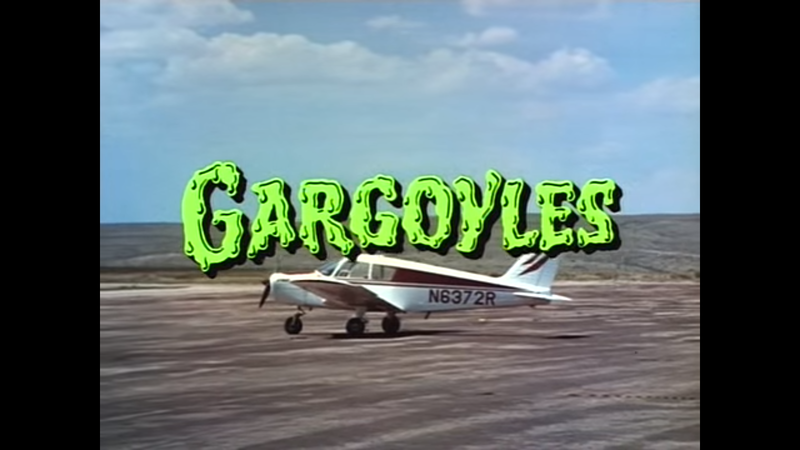 Gargoyles follows a father and daughter pair on their (supposed) trip to Mexico. I say supposed because there is nothing to lead to believe this is set in Mexico other than a brief exchange of dialogue in the first three minutes. Doctor Mercer Boley is an archaeologist, primarily interested in demons and the like. His daughter, Diana, travels with him to a Desert Museum where they meet the quirky Uncle Willie. He claims to have artifacts and transcripts of exorcism rites that interest the doctor. Only when Uncle Willie takes the two out to his barn, that’s not what he shows them. Instead they find a skeleton that looks like it’s been pieced together with various animals, plus the skull that looks like a very thick longhorn. The doctor begins to leave, thinking it a joke, but Uncle Willie convinces him to stay for an interview. Uncle Willie locks the barn door and he begins to tell the Boleys about how he found the skeleton. Before long, though, they hear something on the roof of the barn. It begins to shake, and a fire starts. Uncle Willie dies in the event, but the Boleys escape with the unusual skull. On their drive, they are attacked by a gargoyle. The beast nearly wrecks their car. The Boleys manage to get to a gas station for help, but the car is thorough damaged. They decide to stay at the nearby hotel for the night, where and eccentric manager keeps watch. They return to the wreck the next day with the police. But when they arrive, they find that people are already there. Several men on dirt bikes quickly flee, some of them chased by a cop. After the men are all wrangled up, they admit that they were stealing from the ashes, but that they had nothing to do with what happened at the shed the night before. Though Mercer knows that they didn’t have anything to do with it, he knows that it’s unlikely that the police will believe in tales of gargoyles. So he allows the men to be arrested for theft (and whatever it is that happened at the shed). That night, Mercer wakes up in his hotel room to find it now contains several live gargoyles. They attack him, but they eventually flee. He does find the corpse of one, though, and decides it’s a good idea to take one to study! Diana, having seen the gargoyles again, tries to convince the police to release the men. But neither the policeman or the men wrongly locked up believe her story. So she leaves them. The following night, Mercer and Diana are attacked again when they return for the body. The two manage to escape and try to leave via their busted car, but it doesn’t start. The gargoyles flip the car, and take Diana away with them to their mountain refuge. When Mercer awakes, he goes to the police station where the hotel manager is begging for help. The police and the locked up men all agree to call for back up while locating where the gargoyles took Diana. While the men and the weird lady divvy up the work, poor Diana is stuck in a cave. The Head Gargoyle (dunno if he has a name) seems to have a bit of a crush on Diana. But he mostly speaks in long-winded prose about taking over the world from men. Not really Diana’s type, I assume. He claims he means her no harm, but she then sees the hatching of gargoyle’s eggs. You know, the ones that will grow up to destroy all of humanity. During the search, the men find an empty truck of one of the bikers and the body of the hotel manager strung up a post – dead. They’re then attacked by the gargoyles leaving the cave. When Doc comes face-to-face with one of the gargoyles, the gargoyle says that the hacked gargoyles will need time to develop before they can wipe out men. Doc then says he isn’t sure humanity is ready to be wiped out, which is fair enough. Mercer eventually is led to Diana, who is being seduced (or something) by Head Gargoyle. Diana is dragged away before Mercer can get her. But the remainder of the search party go in to the cave fighting. One of the bikers even manages to set fire to the eggs before he is pulled down by some of the gargoyles. With much of the future of the gargoyles destroyed, Head Gargoyle swears to start over again. He takes one of his lady gargoyles and sets off into the night, leaving Mercer and Diana to watch. And if that doesn’t tell you this movie is weird, it is. This is a very strange movie. The first half is actually pretty good, but as soon as the gargoyles take Diana away, things quickly go down hill. But the cast is pretty great. I would have loved more of Grayson Hall (of Dark Shadows fame), who plays the crazy hotel woman. Much of Gargoyles is strangely shot. For one, all the gargoyles seem to move like they’re in fast forward. Also, they read really fast (apparently). The monsters in general were pretty poorly developed. Or maybe I just couldn’t understand any of the Holy Wars mumbo-jumbo. Ultimately, though, I just don’t think gargoyles are my thing. Director Bill Norton went on to direct several episodes for popular television shows like Buffy, Angel and Roswell. As well as a whole slew of TV-movies. Gargoyles was one of his first pieces of work, and I’d be willing to check more of his stuff out. This, for one, was certainly interesting if anything. 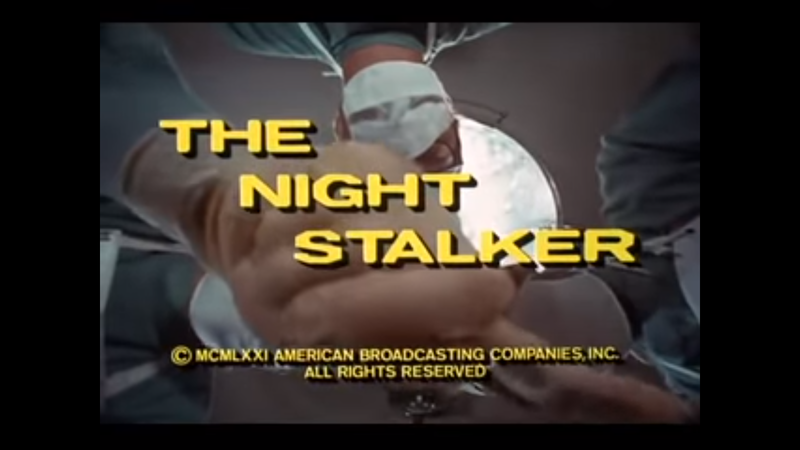 If there is a MVP of made-for-TV horror movies, it’s probably The Night Stalker. 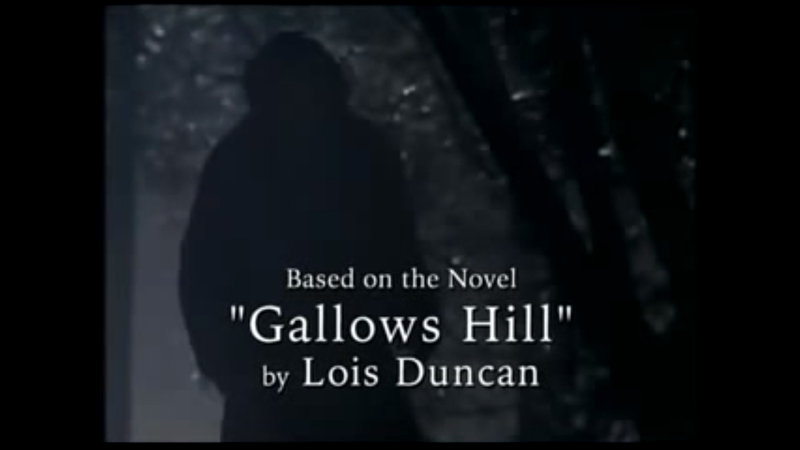 It spawned a sequel, a TV series, and even a remake of said TV series several decades later. And it’s shockingly basic for something so beloved. Carl Kolchak is a sensationalist, nearly ethic-less journalist in Las Vegas. His desire to get the story has led him to being fired from multiple papers throughout the country. 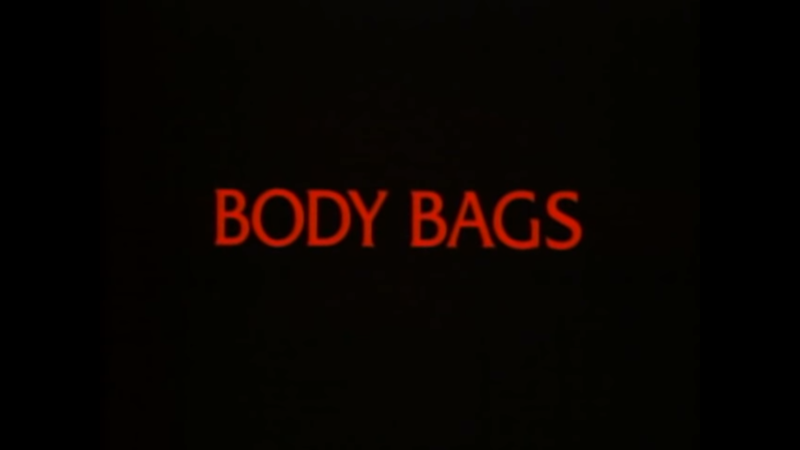 A series of murders perks Kolchak’s interest because of one thing: each corpse is found nearly devoid of all blood. Kolchak seeks the help of one of his “spies”, a young doctor working at the hospital. He calls Kolchak one night, telling him that their blood bank was robbed of its blood supply. At a meeting at the court house, the coroner tells the table of important men that each of the young female victims were found with human saliva mixed in with the blood at the throat wounds. Kolchak shares his theory that perhaps the killer thinks he’s a vampire. While the sheriff and every suited man in the room becomes upset, the coroner says it isn’t too far-fetched that a man would have the psychosis to believe that. Kolchak is told not to run any stories on the killings, but he does anyway. When he writes something about the fourth victim, his editor refuses to publish it. 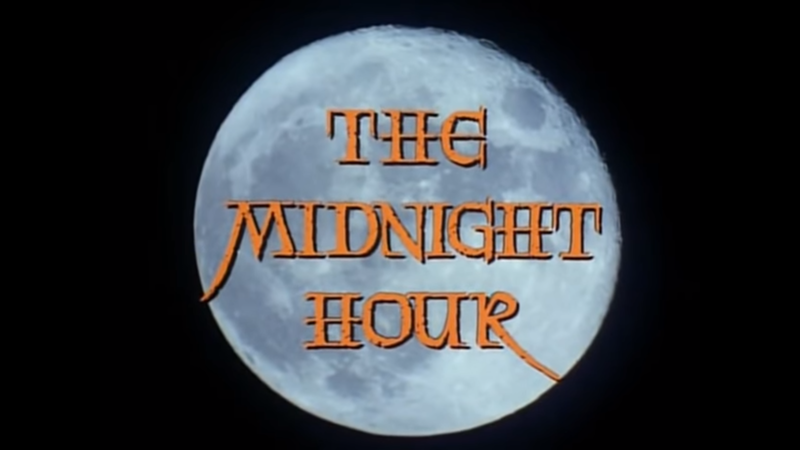 He tells Kolchak that publishing something about a wannabe-vampire will only bring the people of Las Vegas to hysterics. But his girlfriend (and potential woman-of-the-night), Gail, encourages him to continue digging. She lets him look at one of her books on vampires. Later, a man is caught stealing blood from the hospital again. He has the strength to throw the nurses and doctors off him to try to stop him. He’s chased out of the hospital by the police, but they are unable to catch him. Even when they shoot at him at close range. The police, though, are able to identify the man. At a press conference, the man is identified as Janos Skorzeny, a Romanian immigrant who has been linked to multiple murders in different countries, making him an international fugitive. And the manhunt begins. Skorzeny is cornered one night, but easily fends off the police. Despite being nearly 70, he’s a man of great strength. Even when the police see him get shot, he still gets up and runs away unharmed. Kolchak becomes increasingly insistent that Skorzeny is a literal vampire. But he becomes aware the no one will wants to listen to him, seemingly for the protection of the people of the city. He tells the mayor and the authorities that the police officers should carry crosses with them and a stake and hammer, just in case they get into trouble while pursuing Kolchak. They reluctantly agree, but only if Kolchak lets Skorzeny live to see trial. But he completely breaks his promise once one of his sources gives him Skorzeny’s address. He breaks into the house and finds a woman strapped to a bed. Just as he tries to free her, the vampire returns home. He goes to hide, but Skorzeny finds him. But he holds off the vampire by holding out a cross and revealing the sunlight. He manages to weaken Skorzeny, and pounds a stake into his heart. Just as the vampire dies, the police arrive to witness Kolchak murdering their suspect. Kolchak, being the fool he is, gleefully writes up his story to have it published. His editor claims it will be published in full. But Kolchak is told he has been arrested for the murder of Skorzeny. They threaten to use the warrant if Kolchak doesn’t leave town and pretend nothing has happened. Kolchak, later through his tape recordings, says that Kolchak and all of his victims were cremated. Which is strange. And that when a vampire takes the blood of another person, they too will become a vampire. It’s easy to see why The Night Stalker is so well-liked. Darren McGavin plays the irritating, smarmy journalist well. Somehow cocky but charismatic. 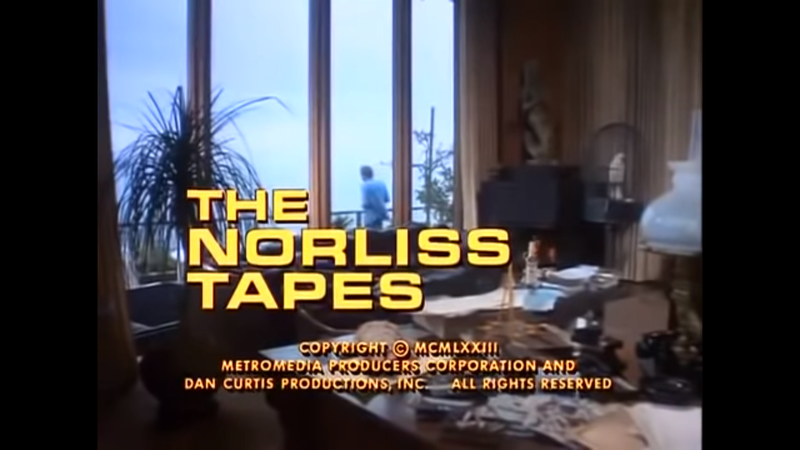 Even though The Night Stalker came before the TV show, it felt like I was watching the sequel to something. 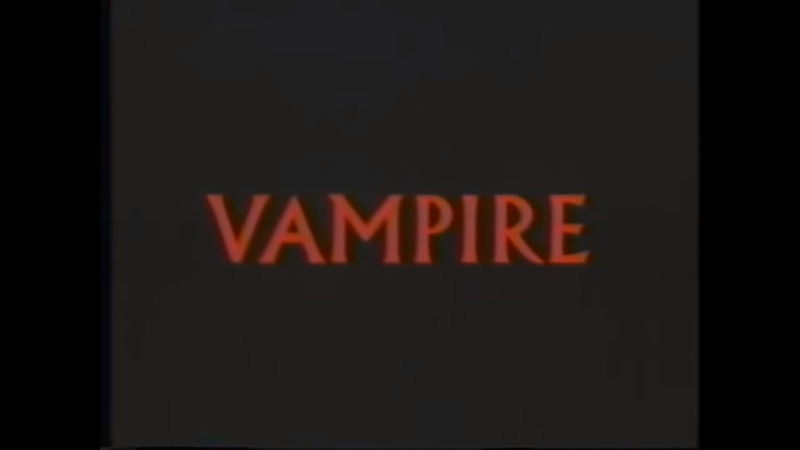 This was a pretty standard vampire story without much in the way character development. Maybe that’s asking too much of a made-for-TV movie. But I’d at least be tempted to watch the TV show (which apparently was a big inspiration to X-Files Creator Chris Carter). This one was probably lost on me, but considering how well-loved it is, I suggest anyone interested give The Night Stalker a try.